A newly-elected UKIP Norfolk councillor is being put under pressure to resign over a past mistake. 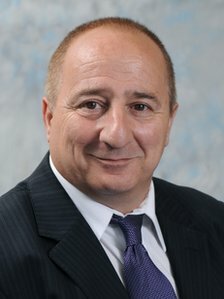 Cllr Peter Georgiou - who beat his Labour opponent by just 1 vote in the elections last month - was arrested for an alleged theft from Poundstretcher last year and had to pay HMRC £4k in unpaid duty. Georgiou was on anti-depressants at the time and in his own words "was in a bad place". He thought that he had paid for the items from Poundstretcher but when he realised he hadn't he paid for them and the matter was dropped. The unpaid duty he owed HMRC was also paid and neither incident resulted in arrest or conviction. There is a difference between dishonestly concealing something about your past and just not talking about it because it's not relevant. Cllr Georgiou made the party aware of both incidents and made no attempt to cover up what had happened when asked. Quite the opposite in fact - he has been completely open about what is a very personal thing. It's time the relentless personal attacks on UKIP councillors stopped. If the Tories put as much effort into fixing the problems with local councils and the country as a whole as they have into trying to dig up dirt on UKIP then they might not be suffering so badly in the polls.